With two full weeks of sales behind it, Sonic Colours has proven it has what it takes to stay relevant in the UK chart results for last week released by Chart Track today. 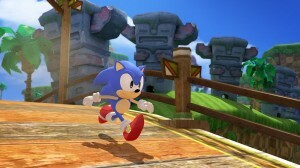 Since last week Sonic’s latest adventure climbed two places to number 16 in the all formats chart and achieved similar success in the individual units chart by rising from 29th to 27th place on Wii and jumping four positions to number 31 on DS. 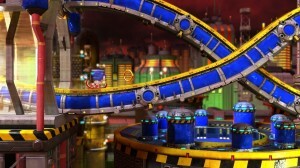 On the Wii only chart Sonic Colours rose up one rank to number 6 and beat out popular shooter Goldeneye 007, which placed at number 7. 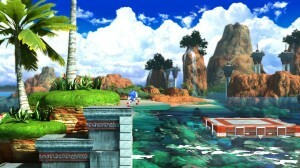 In the DS chart Sonic Colours remains seated at number 4, while Sonic Classic Collection drops one spot from 16th to 17th. Finally, in the Xbox 360 chart Sonic Free Riders stays put at number 19, but beats out some of the Kinect competition this week and interestingly places one position higher than SEGA’s well received third person shooter Vanquish. Share your thoughts on this weeks results in the comments. Chart Track has released the UK chart results for last week and with a full week of sales behind them compared to last week, we can now get a good idea of the UK’s response to Sonic Colours and Sonic Free Riders. 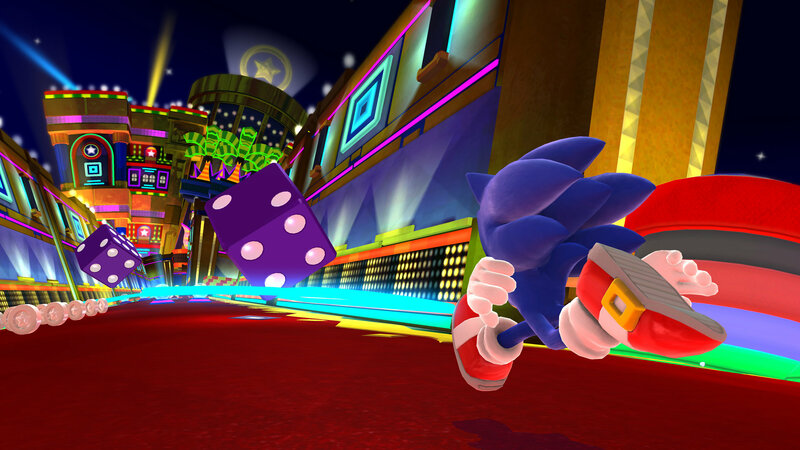 In the all formats top 40 chart, both versions of Sonic Colours have together risen from 36th to 18th position, while Sonic Free Riders has dropped out of the chart completely after ranking 38th last week with only 4 days of sales behind it. 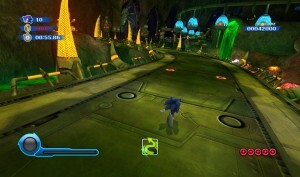 In the individual formats top 40 chart Sonic Colours placed at the lower 29th position on Wii and 35th on DS. 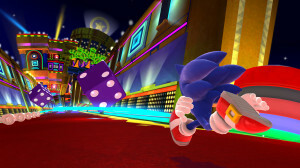 In the top 40 Wii only chart Sonic Colours rose from 11th place to 7th, 2 places higher than popular shooter Call of Duty: Black Ops and 1 rank lower than old rival Mario’s universally acclaimed title Super Mario Galaxy 2. As for the top 40 DS only chart, Sonic Colours climbed from 12th position to 4th, being beaten out of the top 3 by Art Academy in 3rd, New Super Mario Bros. in 2nd and popular puzzler Professor Layton and the Lost Future in 1st. Sonic Classic Collection has jumped 4 places from 20th position to 16th, proving Sonic’s Mega Drive titles still have sales power today. Finally, Sonic Free Riders has descended in the top 40 Xbox 360 only chart from 16th place to 19th. Other Kinect launch titles in the chart have also dropped positions compared to last week, but still beat out SEGA’s mascot racer. So, with a full week of sales behind the game, Sonic Colours has shown some positive momentum after last weeks disappointing first 2 days, while Sonic Free Riders hasn’t seen the same benefit of more sales time. Will both games improve from here? Check back next week. Meanwhile, share your thoughts in the comments. Jut a quick heads up, Chart Track have today unveiled last weeks UK video game sales chart for the week ending 13th March. 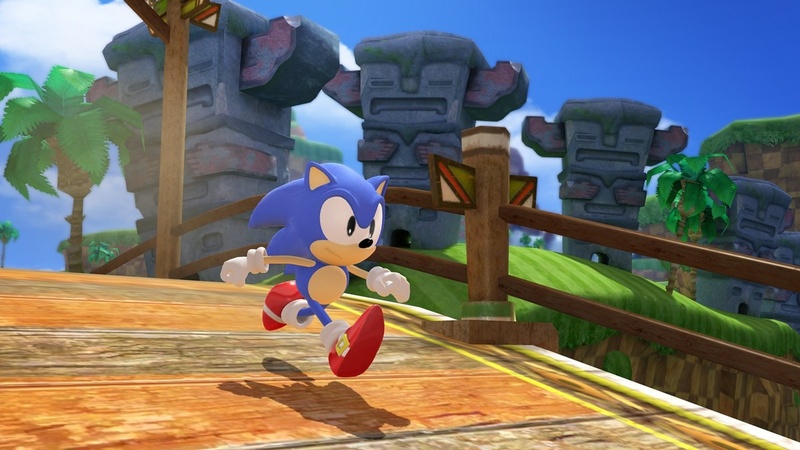 Final Fantasy XIII has taken the top spot of the all-formats chart but how have Sonic & SEGA All-Stars Racing and Sonic Classic Collection fared? PS3 version down from 27th to 40th. It appears all versions of Sonic & SEGA All-Stars Racing minus the DS version have dropped a little in the charts though remaining in the top 10 is still a positive to say the game has some heavy competition in games like Final Fantasy XIII, Heavy Rain and Battlefield: Bad Company 2. 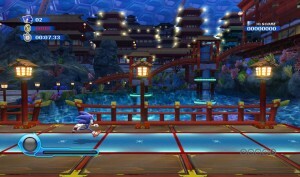 Will Sonic & SEGA All-Stars Racing be able to stay put in the top 10? We’ll let you know next week. Chart-Track has updated today with last weks game sales, week ending 6th March. Last weeks chart update the game had only been on sale for a couple of days but today with a full week on sale in the UK we can now get a better idea of how well the game is doing and its very positive. All in all the game looks to be quite popular and despite Mario Kart Wii and DS the game has been selling very well on those platforms with the DS making the top spot. We’ll check back with Chart-Track next week to see if the DS version can hold its place at the top of the chart and wether the other versions will be able to hold their high positions or maybe even do better. This weeks UK sales chart has now been released on Chart Track.co.uk and in All Formats Top 40 we can see Mario & Sonic at the Olympic Games and SEGA Superstars Tennis are still holding on strong. Mario & Sonic at the Olympic Games was released 23-11-07 on Wii and 08-02-08 on DS but still very much enjoys great UK sales across both formats especially now the sequel is on its way. The game is 26th in the chart this week. SEGA Superstars Tennis was released 20-03-08 for PS2, PS3, Xbox 360, Wii and DS and also continues to enjoy UK sales across all formats especially on Wii despite the recent release of SEGA’s newest tennis title Virtua Tennis 2009. The game is 33rd in the chart this week.